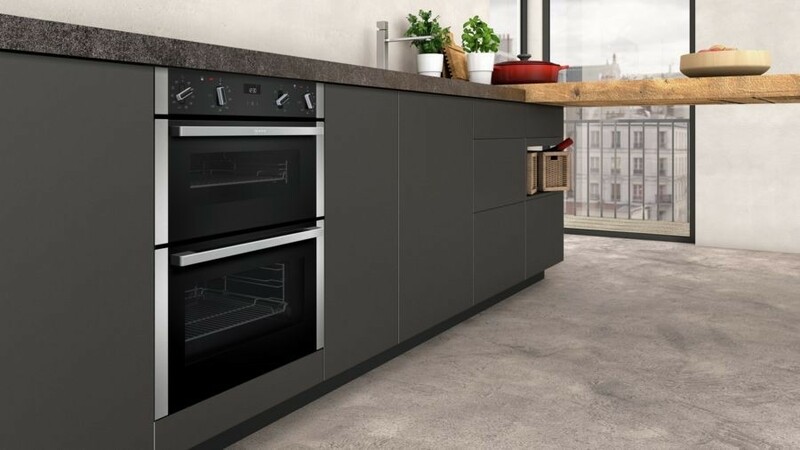 The built-under Neff J1ACE4HN0B Double Oven features elegant symmetrical design, 'U' form door and bevelled bar handles, all of which are colour co-ordinated with the control panel. It also has excellent visibility, thanks to its wide viewing window. The triple-glazed door features heat-reflective glass that aids totally even cooking of your food for simultaneously juicy and crispy results every time. The J1ACE4HN0B is capable of accurately, evenly and quickly defrosting your food, and its use of CircoTherm® technology means that the air is properly circulated. The bottom 47 litre main oven has 7 cooking functions on hand and an automatic programmer helps you achieve perfect result every time you cook. The use of two ovens means that you can simultaneously cook two different meals. 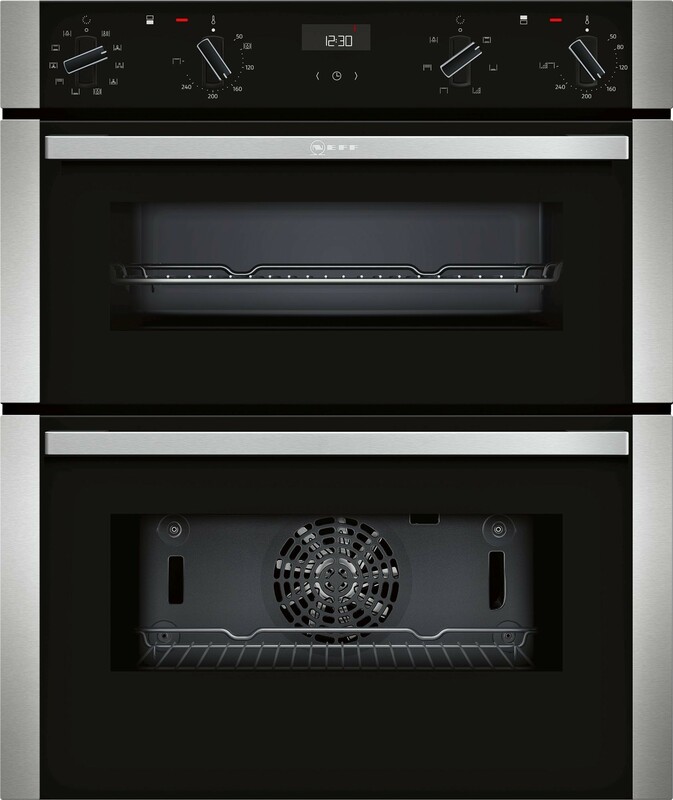 The top cavity, with 34 litres of capacity, is a conventional oven with 4 functions; Top/bottom heat, Full surface grill, Small area grill, Bottom heat. CeramiClean back and roof liners are also on hand for easy maintenance. A sleek silver display EasyClock with a clear visible display helps to create perfect cooking results every single time. QuickConnect shelf supports are quick and easy to remove and replace, these chrome finish supports are clipped in place by just two unobtrusive fixing sockets each side. With a Class A energy efficiency rating, this double oven performs at remarkable rates without consuming loads of power, which is good for the environment and your household bills alike.